THE FREDERICK ‘FREDDIE’ Thompson murder trial has heard that his fingerprints were found in two cars that the prosecution says are linked to the killing. A fingerprint expert gave the evidence to the Special Criminal Court this morning on the second day of the 37-year-old’s trial for the murder of a Dublin shoe shop manager. Thompson, with an address at Loreto Road, Maryland in Dublin has pleaded not guilty to the murder of David Douglas on 1 July 2016 on Bridgefoot Street in the city. The 55-year-old was shot dead shortly after 4pm, as he ate a curry in his partner’s shoe shop, Shoestown. He was shot six times to the head, neck and throat. A semi-automatic pistol with its serial number removed was found next to his head. The three judges were told yesterday that they would be asked to infer that one of the “many fingers on the trigger” was that of the accused. Sean Gillane SC, prosecuting, explained the prosecution case in his opening speech to the non-jury court. He said that four vehicles and their occupants, including Thompson, were operating in concert that day. 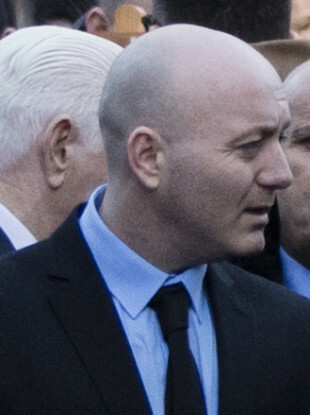 Detective Garda Raymond Kane of the Garda Fingerprint Section testified yesterday that he analysed a number of finger and palm marks developed from the four cars. He told Gillane that he had no doubt that two marks developed from a birthday card found in a blue Mitsubishi Mirage were made by the accused. He also had no doubt that two marks found on that car’s rear-view mirror were made by Thompson. The court also heard from Garda Ronan Lawlor of the Garda Ballistics Section, who testified that he examined a number of the vehicles. He told Gillane that among the items recovered were a parking ticket and an inhaler. Under cross examination by Michael O’Higgins SC, defending, he agreed that the inhaler was perfectly visible with other items on the passenger floor area of the blue Mirage. He agreed that, if one was involved in criminal activity and left something like that behind, it could be “a bit like a beacon” in connecting that person to the vehicle. “But not much assistance as to when the inhaler was thrown there?” he asked. O’Higgins then informed the court that there was a finger mark on the parking ticket, but that it was not his client’s. Justice Tony Hunt remarked that he didn’t think he would be emphasising it if it was. “But, we are emphasising that it’s our DNA on the inhaler,” said O’Higgins. The trial continues before Mr Justice Tony Hunt, presiding with Judge Flannan Brennan and Judge Gerard Griffin. Email “Fingerprints of Freddie Thompson found in two cars allegedly linked to killing, court hears”. Feedback on “Fingerprints of Freddie Thompson found in two cars allegedly linked to killing, court hears”.